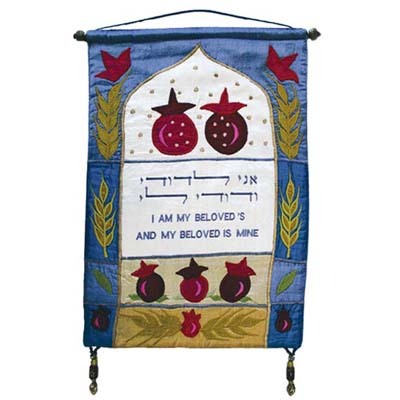 "Ani Ledodi" Hebrew+English Wall Hanging CAT# SX - 22. 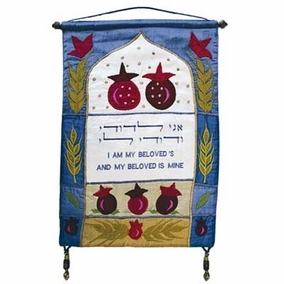 Machine embroidered wall hanging. The fringes are made from glass and metal beads. The mounting rod is made from brass pipe with brass finials. Size: 12.5" X 18".